And so as we travel further through the zodiac we come to Leo, the sign of the royalty. The Fiery Lion or Lioness of the zodiac, they are proud, generous, creative, dramatic, narcissistic, demanding, fun loving, and romantic is. So much to offer, no wonder people orbit them like the planets orbit the Sun. And even if that’s not quite true, to the Leo it ​is. Leos are special, it’s a birth right to them and it will serve you well to remember that. They love attention, it is the air they breathe. They prefer adoration but in a pinch they will settle for disdain. As long as they are not ignored. Being ignored is tantamount to death for the Leo. So with these characteristics you might think Leos are difficult to love, yet it’s quite the opposite, even the most difficult Leos can’t help but be lovable. out, just like their ruling planet the Sun. They have dramatic flair and great hair. It’s hard to take your eyes off of them. And you will often notice they are surrounded by others. If you want to find the Leo at a party, just look to the person holding court, telling dramatic stories, delivering the funniest jokes, or just being so stunning people must stop and stare. No other sign can draw a crowd like a Leo. Remember Bennifer the relationship between Ben Affleck and Jennifer Lopez (both Leos). It was so popular that it got it’s own name! Many couples afterwards were given couple names, but they were the first. So how do we manage life with Leos? It has it’s challenges for sure, yet there is no sign more generous to those they love than Leo. And they are loyal, to a fault actually. Yet they do not suffer fools. If you cross them you are dead to them. The Sun goes away and you are left out in the cold, shivering. And don’t expect them to send you off with a warm coat, like Cancers are likely to do. You are out and that is that. Like most cats, Leos love to be rubbed especially their heads, unless they have spent hours on their hair, then it’s hands off! They love their back rubbed as well, especially between the shoulder blades where they tend to hold a lot of stress. This is the location of the heart, the organ associated with Leo and the Sun. No wonder they are the masters of romantic love and courting. No one expects more or gives more than Leo. 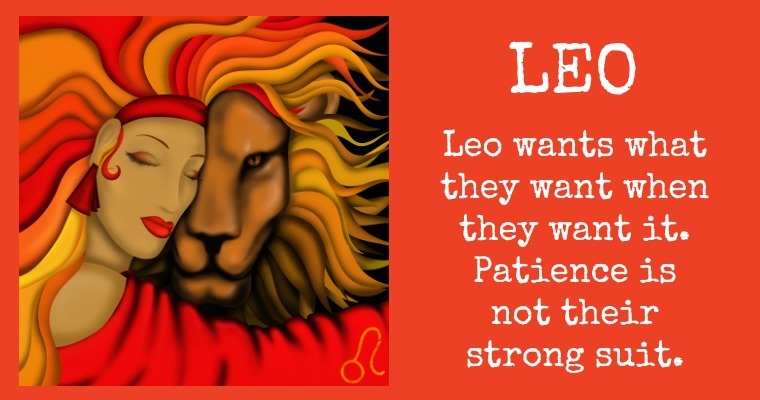 So if you are willing to adore them and be richly rewarded for doing so then Leo is your sign!